Following his more subtile record 'Frozen Niagara Falls' and his techno records under the moniker of Vatican Shadow, Prurient's Dominick Ferrow is now set to reissue is last Prurient album 'Unknown Rains' on vinyl for the first time; the album was previously only available on cassette. The album features some pretty uncompromising harsh-noise; listen via the embed below. 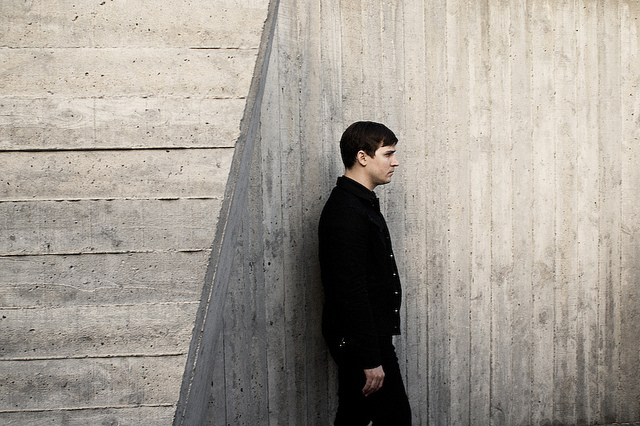 Prurient performances tend to be a sonic endurance test, applying militant industrial eruptions, infernal shards of techno and malformed vocal manipulations. For Le Guess Who? 2017, he is curated by Basilica Soundscape, together with a.o. Protomartyr, Greg Fox and Jenny Hval.